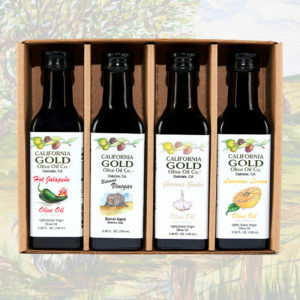 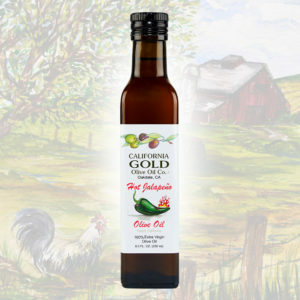 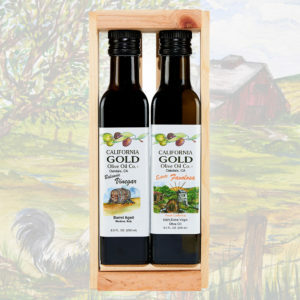 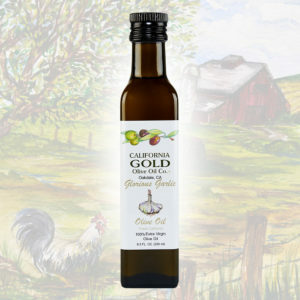 HOT JALAPENO OLIVE OIL – HALF GALLON | California Gold Olive Oil Co.
As with all our flavored oils, the jalapenos are crushed directly with the olives for a truly fresh jalapeno flavor that you can’t get with infused oils. 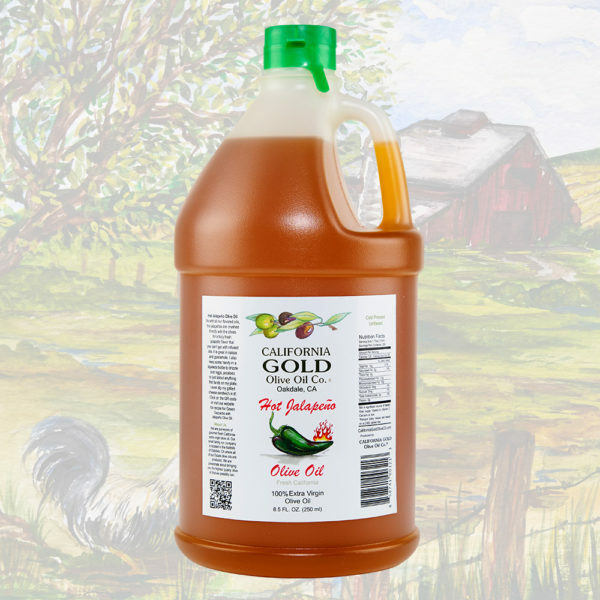 It is great in salsas and guacamole. 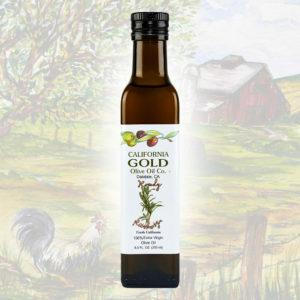 I also keep some handy in a squeeze bottle to drizzle it over eggs, potatoes or just about anything that lands on my plate. 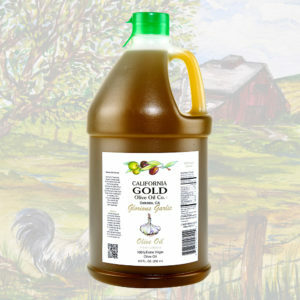 I even dip my grilled cheese sandwich in it!